What's in your lunch? This year, I decided to start bringing my own lunch to work and it's been working out quite well. 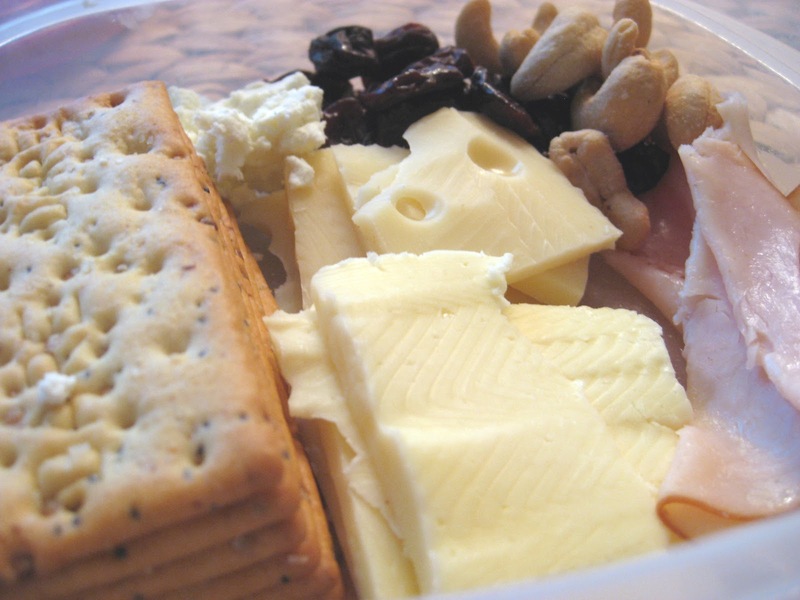 One of my favorite lunches is what I like to call my "adult lunchable", essentially an assortment of cheese, meat and crackers. I take a square-size tupperware and put in some crackers, deli meat and assorted cheese. Then I top it with some dried cherries and cashews. It packs well and it tastes fresh when I eat it. The best part is that you can totally customize it to your own tastes. The lunch pictured above includes havarti, swiss, and goat cheese, deli turkey, dried cherries and cashews. 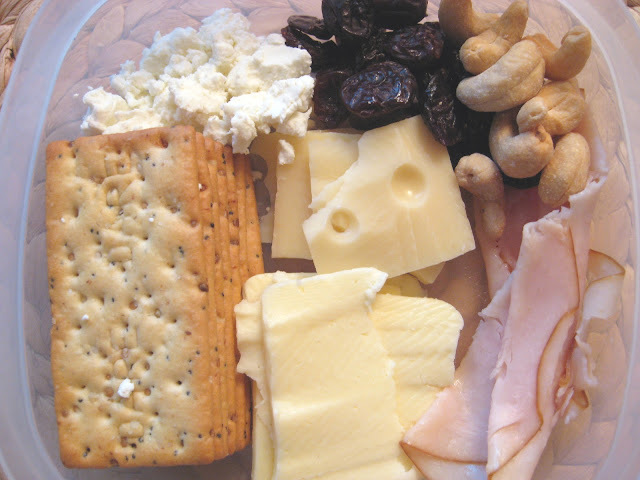 But there are several other great options, including colby-jack, cheddar, swiss, mozzarella or pepperjack cheese, ham, salami, dried mangoes, blueberries, raisins, almonds, walnuts, or peanuts. The possibilities are endless! I hope this inspires you to make an adult lunchable of your own! That looks like the perfect work lunch to me! I've seen this idea of the adult lunchable around, I really like it and yours looks AMAZING!!! This is a really awesome idea! I love lunchables, but bringing a kid's lunchable to work might be a tad embarrassing ;) Love this grown up lunch! Yummy! Apparently great minds think alike- this is what I'm planning for tomorrow's lunch! What a great idea! So simple; yet I never never would have thought of it. This looks delicious! Why haven't I thought of it! making lunch is the bane of my existence. i know i should do it, but it gets so boring, so easily. this is GENIUS! thank you! !